Stanley Fossen passed away peacefully with his family by his side at the age of 89 years. He is survived by his loving wife of nearly 67 years, Muriel; children, Neal (Fern), Pam (Doug) Mundell, Ken (Connie) and Brian (Wendy); 11 grandchildren; 13 great-grandchildren; as well as two brothers, Bernard (Elsie) and Glenn (Sharon). Stan was raised on a farm. 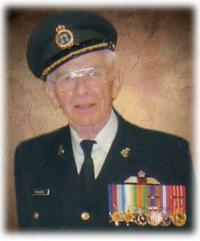 In 1941 he enlisted and served overseas with the RCAF during WWII. Returning home he became a printer before re-enlisting with the Canadian Army. After retiring from the Army, Stan attended the U of A; then taught at Jasper Place Composite, retiring in 1984. Stan was very proud of his 32 years total service with the Canadian Armed Forces and retired at the rank of Major. Special thanks to Dr. John Clarke and staff at the Sturgeon Hospital. A Memorial Service will be held at St. Albert Funeral Home, 9 Muir Drive, St. Albert, on Wednesday, May 9, 2012 at 2:00 p.m. In lieu of flowers, donations may be made to the Alberta Cancer Foundation, 710, 10123 – 99 Street NW, Edmonton, AB, T5J 9Z9.